BOOMSARA took his prizemoney earnings past the $1.5 Million mark with a thrilling win in todays $2 Million Magic Millions 3YO Guineas (1400m) on the Gold Coast. The son of Spirit of Boom crossed the field from his wide barrier and kicked strongly for replacement jockey Tim Clark to fight off the late challenges of BONDI and OUTBACK BARBIE by the barest of margins. Clark had only picked up the ride a day earlier after Damian Browne was forced on the sidelines through illness. 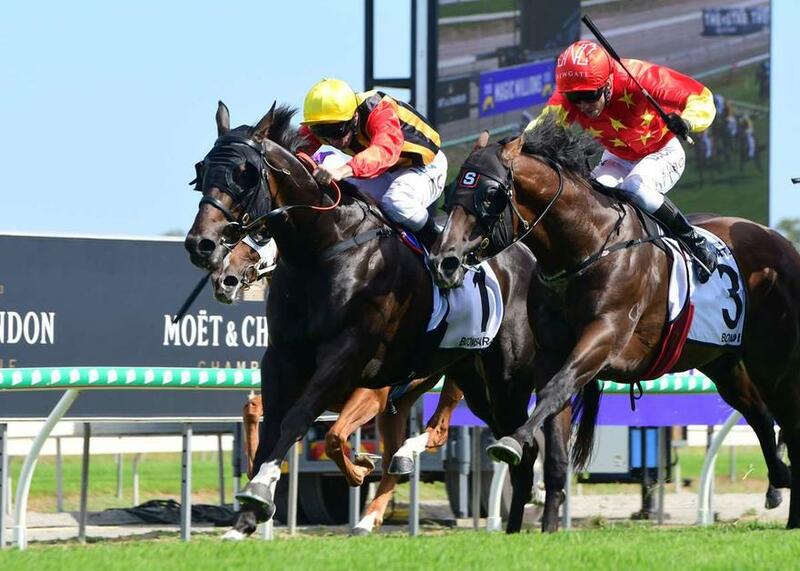 The win gave BOOMSARA's large group of owners their second feature-race victory in a matter of weeks off the back of the gelding's dominant win in the Group 3 Vo Rogue Plate (1350) at Doomben. The result provide trainer and former champion jockey Chris Munce with one of his greatest thrills in racing and afterwards he paid tribute to the horses's owners and his own staff. "What a great thrill," said Munce. "I'd like to thank all these wonderful owners, for a lot of them it's their first time in the horse so I'd like to congratulate them on being part of BOOMSARA's life. He's a lovely horse and he's got a ton of fight. "I'd also like to thank all my staff back home and my family who are here today. The hard work that goes into getting these horses to raceday and performing to their absolute maximum is something that a lot of people wouldn't understand but it's an exhilarating thrill." Munce also paid tribute to the well-rated ride of Clark and made a special mention of the sidelined Browne. "Unfortunately he couldn't ride today but we wish him well and I'm sure he'll come back and there'll be more wins in store for him when he does come back."